There’s no party like an industry party, especially when EO and WPH are hosting. Add that to the fact that EO and WPH are throwing monthly barbecues throughout the summer and fall - and you’ve got yourself an invitation to one of South Beach’s best parties - on the WPH grounds. The EO Industry BBQs work like this: Every SECOND Monday of the month, EO Miami brings the food and WPH draws the ambience, while different spirit companies supply the drinks. Each month features a different spirit. 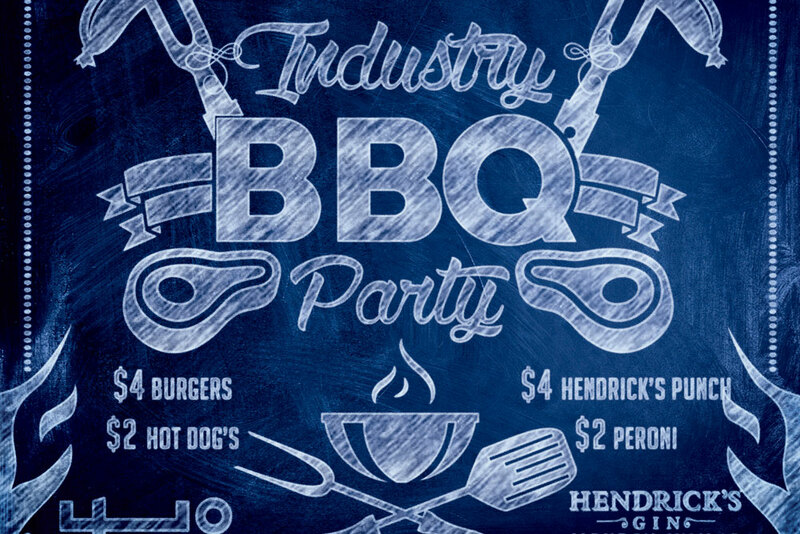 For example, for our next BBQ on July 10, Hendrick's Gin is handling the alcohol, whipping up a special punch just for the occasion. On August 12, Leblon and St. Germain are hosting, so expect plenty of caipirinhas and craft cocktails. Although the drinks do change each barbecue, the food doesn’t. Every barbecue it’s EO on the grill serving up juicy burgers and hot dogs, each at $4 and $2, respectively. Where in Miami the country can you get a burger as good as the EO burger for $4? For that matter, where can you get anything for $2 anymore, especially a Peroni? Not many places, except for every second Monday at WPH. That said, you don’t have to be in the industry to join us, nor do you have to be a guest. We love when locals come to hang out with us at EO and WPH. Our BBQs last from 1 to 4 p.m. every 2nd Monday of the month. Come join us! EO Industry BBQs happen every second Monday of the month. The next BBQs is happening July 10. Check our list of specials in case you want to stay the night.